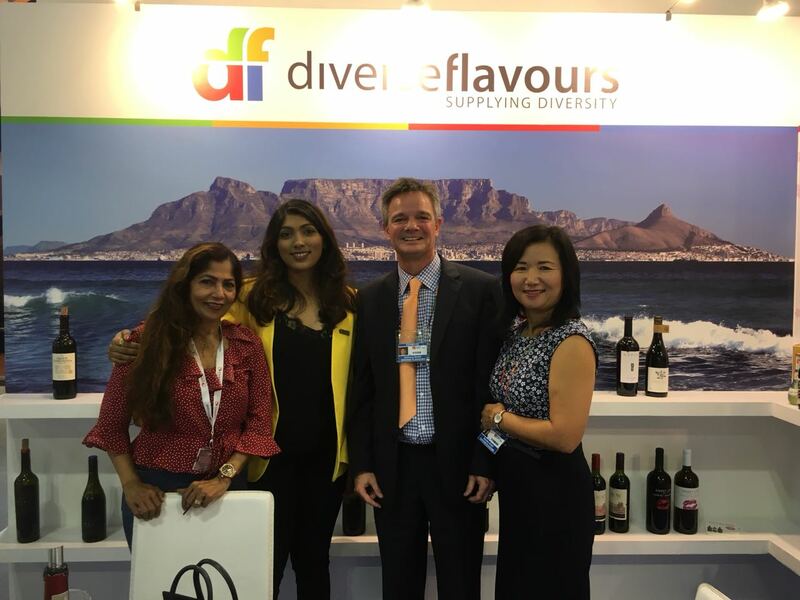 Once again Diverse Flavours had a very good show in Singapore for the annual TFWA Asia Pacific Exhibiton held from May 6-10th. 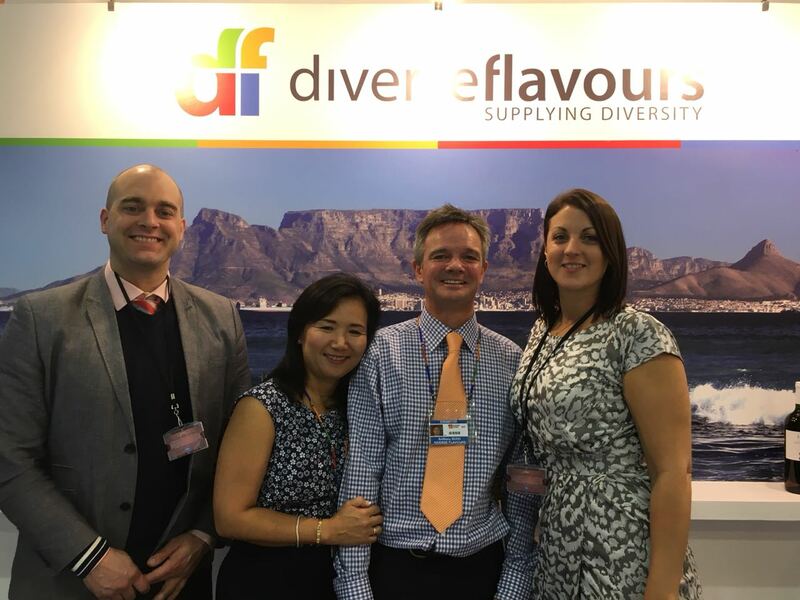 We showed wines from Avondale, Cederberg, Deetlefs, Delaire Graff, Ernie Els, Ghost Corner, Groot Constantia, Kleinood, Mt Vernon and Napier, as well as our own 88 Vineyards and 29 Made For Meat ranges. 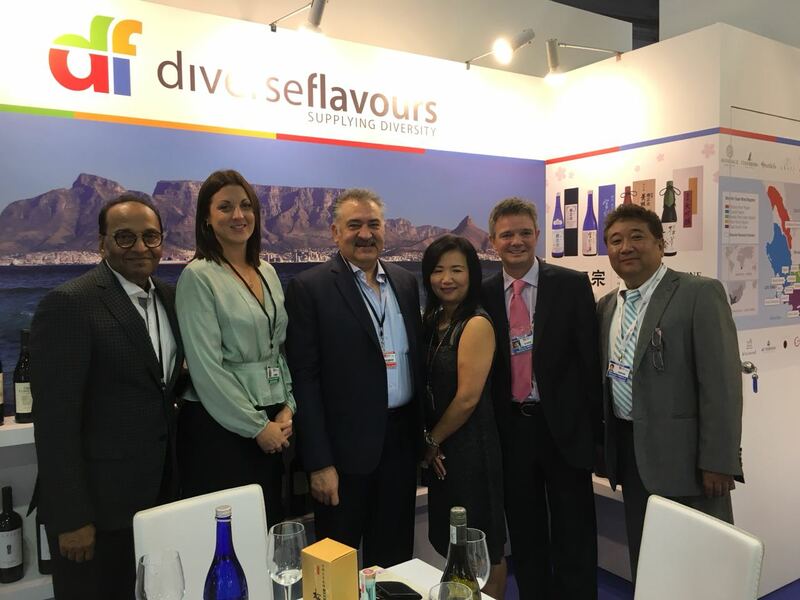 Present with us on the Diverse Flavours standwere Ms Yumi Hayashi and Mr Michiyasu Tomofuji joining us for meetings to discuss the Japanese Sake portoflio from Sakuramasamune and Kinshimasamune. 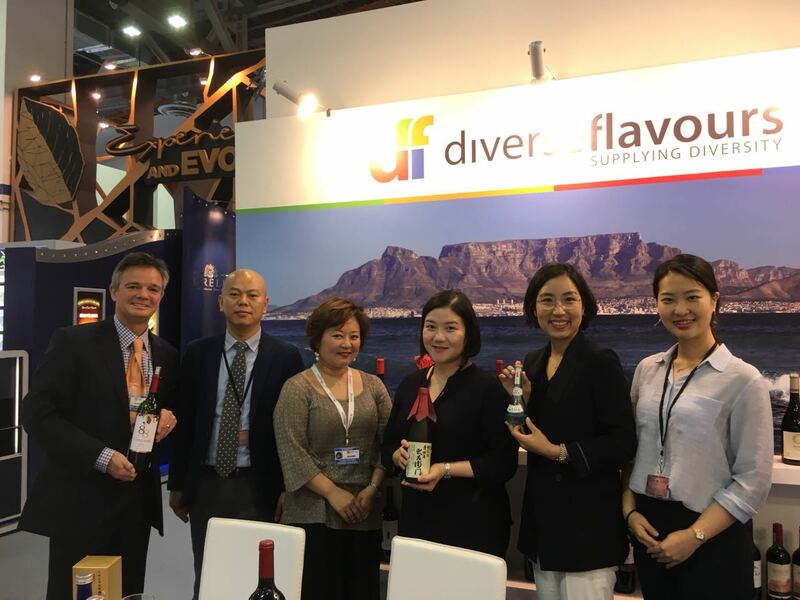 The Global duty free and travel retail sales reached US$68.6 billion in 2017 – an increase of 8.1% on the previous year. 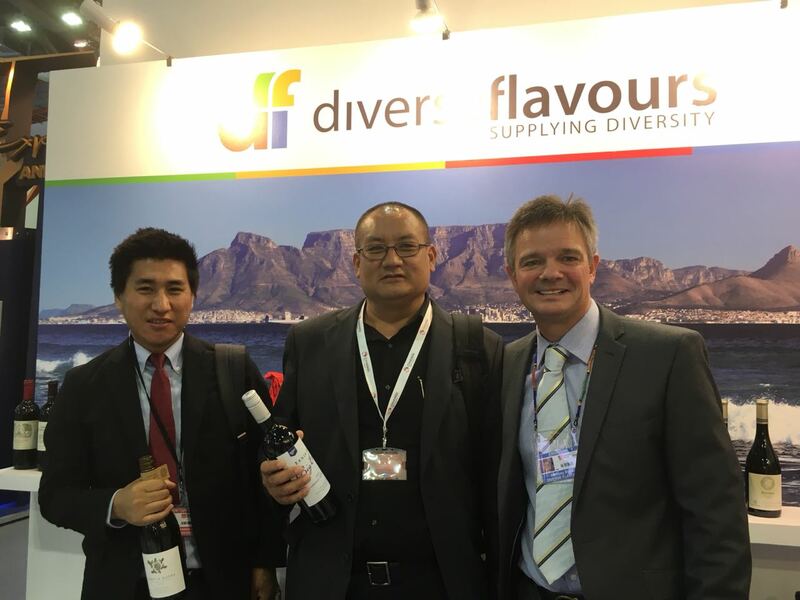 The powerhouse region was Asia Pacific, delivering sales of US$30.6 billion – an impressive 11.6% increase on the previous year. With this performance, Asia Pacific continues to lead the world with a 45% share of global sales. The fastest-growing category, as in 2016, was perfumes & cosmetics, which achieved global growth of 13.8%. 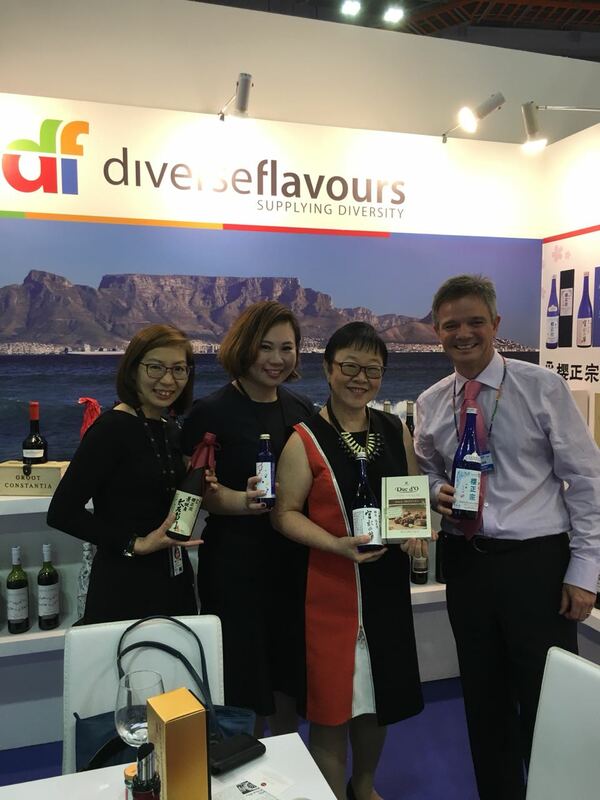 The influence of the beauty category was even more significant in the Asia Pacific region, where the category grew by 19.9% year-on-year, while the wines and spirits sector grew by 9.2%. First, the potential customer base continued to grow, although in terms of international passengers the Airports Council International figures for 2017 show a slower, but still robust, rate of growth at 8.4%. Some major airports in this region were well ahead of this performance. Kuala Lumpur Airport saw its international passengers grow by 14.7% and Tokyo Narita by 13.6%.